In 1989, a graduate student in chemistry was surprised to learn that no one had ever studied the Auschwitz gas chambers from a chemical perspective. A year later, while preparing his PhD thesis in chemistry at the prestigious Max Planck Institute for Solid State Research in Stuttgart, Germany, he realized that this institute gave him access to all the resources he needed to look into this matter himself. Now, after more than two decades of continued research and archival studies, this curious scholar, Germar Rudolf, has published his findings in the form of a book and a video, both with the title “The Chemistry of Auschwitz.” Let’s see what he found out. On June 15, 1994, David Lawson was scheduled to be killed in the execution gas chamber of the state prison of North Carolina. This is a view into this chamber. Lawson, however refused to cooperate. Instead of breathing quickly and deeply, he repeatedly held his breath and took only short breaths in between. Again and again he called out “I am human!” For ten straight minutes, he kept on struggling against his fate. Only eighteen minutes after the beginning of the execution was he declared dead. It was the longest-lasting gas-chamber execution in the history of the United States. The witnesses to the execution were horrified, and the prison warden supervising the execution was so shaken that he resigned. Because of disasters like this, executions by gas chamber were eventually banned for being cruel and unusual. And this despite the fact that executions with gas were considered swift, painless and humane when they were first introduced in the United States in the 1920s. This test gassing occurred in the gas chamber of the state prison in Parchman, Mississippi, using two black rabbits. The poisonous cyanide powder is put into a bowl beneath the execution chair. Once the door is secured, sulfuric acid is poured over the powder. As a result, hydrogen-cyanide gas is released so violently that it rises up in a cloud of sulfuric-acid mist. The bunnies die after not even a minute. If we look up expert literature, like Henderson & Haggard’s “Noxious Gases,” we find in them the claim that humans die very quickly, within a minute or less, when exposed to the hydrogen-cyanide concentrations as they are used during executions in the United States. But that’s apparently not true. U.S. researcher Scott Christianson has written a study on the history of the U.S. gas chambers. He found that, during hundreds of executions over the past 90 years, it took on average some 9 minutes to kill a human. So what’s wrong here, and who is right? Turns out, reality is right, and the scientists are wrong. In a 1976 study for the U.S. Army on the toxicity of hydrogen-cyanide gas for humans, a certain McNamara traced back what the experts quote in their books on toxicology. It turned out that directly or indirectly they all refer to a German book of 1919 that reported the results of gassing test made prior to World War One on… well, rabbits. The study also established that gassing experiments with dogs, monkeys and humans demonstrated that humans are much less susceptible than dogs. For example, in one case a dog and a human volunteer were placed in a gas chamber and exposed to the same concentration of hydrogen cyanide. While the dog stopped breathing after just one and a half minutes and was assumed dead, the man at that time did not even show any symptoms. In fact, the values found by this study closely resemble the values found by Christianson in his study. Instead of killing within a minute and less, the concentrations used in the U.S. execution gas chambers would indeed not kill with certainty before some ten minutes. This poor roofing fellow got caught on the top of the roof of the Catholic church of St. Michael at Untergriesbach in Bavaria, Germany, when the bells starting tolling frantically. This church is our next stop on our journey to the Chemistry of Auschwitz. In 1972, major renovation work was carried out on this church. Among other things, the plaster on the inside was redone, and a pest-control company was called to kill the woodworms which had infested the church’s woodwork. But replacing the plaster first and then fumigating the church with hydrogen cyanide in order to kill the bugs was a bad idea, as the church’s newsletter reports. In the church’s chronology on the church’s website we find an entry for July 1972 referring to the – quote – “fumigation of the entire church with Zyklon against woodworm infestation” – unquote. Zyklon refers to Zyklon B, the active ingredient in which is hydrogen cyanide. Further down we read that the fumigation led to blotchy discolorations of the plaster. Not much more information can be gleaned from that website, but a similar case that occurred four years later in another church in Bavaria is more revealing. This concerns the Protestant church of the town of Wiesenfeld. Here, too, the church’s plaster was redone, and a few weeks later the whole church was fumigated using Zyklon B, that is to say, hydrogen cyanide, in order to kill woodworms. A few months later, the entire plaster started developing blotchy blue stains, as if someone had splattered blue ink everywhere onto the plaster. This time, however, the case was properly documented, and the experts called to investigate took samples, analyzed them chemically, and determined what the problem was. The case was published as an entry in Volume 4 of the German series “Bauschäden-Sammlung”, that is, “Collection of Construction Damages.” Here are the first two pages of this article in German. The paper was also published in an English translation in this book on pages 557 to 559. From this article, we learn that the hydrogen cyanide had been absorbed by the fresh and moist plaster, and that the small traces of rust contained in the plaster – which is a natural component of every cement and sand used to make it – had reacted with the hydrogen cyanide to slowly form a pigment called “Iron Blue” or “Prussian Blue”. Being an integral part of the plaster, the only way to remove the blue stains was by completely knocking off the new plaster and redoing the entire job, as the lead architect of the renovation project Konrad Fischer stated in an interview. Unfortunately, there aren’t any color images of that case available. The only illustration shown in the documentation is this black-and-white image, which may have looked something like this in color, but there are other cases where the same reaction occurred. Zyklon B was used on a grand scale during World War II in Europe to combat lice which infested the clothes, bed linen and living quarters of soldiers, prisoners of war and concentration-camp inmates. Lice transmit typhus, which is a deadly disease. During WWII, hundreds of thousands of people died of it. This is a 1948 paper on that topic by Dr. John Gordon from Harvard University. I have redone the chart to improve its clarity. It shows the number of typhus cases in Germany as officially recorded and published by the German civilian authorities between 1939 and 1943, and as encountered by U.S. troops in their zone of occupation in the first half of 1945. No data is available for 1944. 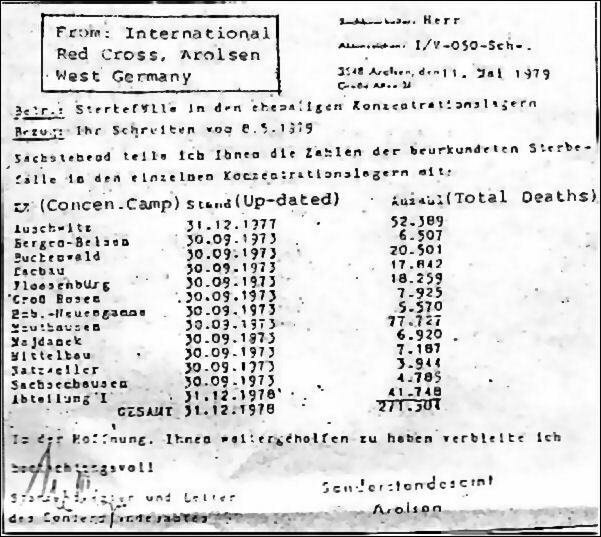 The numbers for the years 1939 through 1943 evidently do not include typhus cases in German labor or concentration camps. Otherwise those numbers would be vastly higher. To prevent or stamp out typhus epidemics during World War Two, killing lice was one of the most important challenges all warring parties faced. The Germans’ chief method of killing lice was Zyklon B, deployed in fumigation gas chambers. Such chambers were built in many locations, civilian as well as military in nature, and of course in the vast German system of labor and concentration camps. Many if not most of these fumigation chambers were destroyed after the war, but some survived. This here is the Zyklon B fumigation chamber at the former Stutthof Concentration Camp near Danzig, West Prussia, used to disinfest inmate clothing. Note the blotchy blue stains on the walls, outside as well as inside. This is a room of one building at the former Majdanek Camp which was also used for fumigating clothes. Again, it has blue stains in many places. The same is true for another structure in that camp also used for Zyklon-B fumigations. This is a former Zyklon-B-fumigation facility at the former Auschwitz-Birkenau Camp. It exhibits the same kind of blue stains, both on the outside walls and on the inside. That structure existed in two mirror-symmetrical units. This is the other one, only a few yards away from the first. It, too, exhibits the tell-tale blue discoloration of bricks, mortar and plaster on the inside as well as on the outside. We may assume that the plaster of two churches fumigated with Zyklon B we just discussed looked very similar to this. Now that we’ve arrived at Auschwitz, let’s take a look around. This is a map of the Auschwitz region. In order to get an orientation as to where we are, here is an inset showing on the left a map of Europe. The small blue rectangle shows the area of Poland that is enlarged in the right-hand inset. In it, I have surrounded with a red rectangle the area which we see here in the large map. Three areas on this map are of interest in the present context. First, the Auschwitz Main Camp, which was the original concentration camp opened in 1940. Most of its structures survived the war and serve today as a museum. It also includes a crematorium with a homicidal gas chamber. We’ll return to that later. Next, there is the huge Auschwitz-Birkenau Camp just a mile away, which was initially planned as a PoW camp, but ended up as the destination for roughly one million Jews deported from various European countries. Most structures of that camp have been destroyed, either by the Germans prior to their retreat, or afterwards by Poles who used the building material as fire wood or to reconstruct their homes. Finally, there is the industrial area of the German chemical trust I.G. Farbenindustrie to the east. 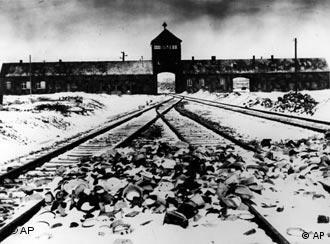 The Auschwitz Camp is considered the largest concentration camp of the Third Reich. At its peak in 1944, it had 48 subcamps where inmates worked in armaments industries, workshops, farming, coal mines and chemical factories. If you wish, it was Europe’s largest slave-labor enterprise ever. The most-important factories, from a strategic point of view, were the Buna plants of the German chemical trust I.G. Farbenindustrie. Planning and construction started in 1941. These photos of this plant from the German Federal Archives are from 1943 and 1944. Some of these structures still exist to this day. You can see some photographic juxtapositions on the website given. Parallel to these industrial activities, plans to increase the nearby slave-labor population were also made. For that purpose, the initially small Auschwitz Concentration Camp was turned into a huge system of camps, which at one point was planned to accommodate some 200,000 inmates as a slave-labor resource. The background of the chemical factories was the fact that Germany, in times of war, could easily be deprived of all major imports of food and raw materials by a British blockade. Already during the First World War, Germany felt the devastating effect of being cut off from all imports, among them also rubber and petroleum, to name only the two most important raw materials for any industrialized nation. Ever since, Germany strove to became independent from natural rubber and mineral oil by exploiting its coal reserves and its chemical talents. In fact, already prior to the First World War, in 1909, the German Chemist Fritz Hofmann invented a process for producing artificial rubber. A process to convert nitrogen from the air into ammonia – an important first step in the production of any modern fertilizer or explosive – was first demonstrated by the German chemist Fritz Haber also in 1909. He received the Nobel Prize for it in 1918. Haber also invented the insecticide Zyklon B. Haber was Jewish. A process to turn coal into liquid hydrocarbons was first developed by the German Friedrich Bergius starting in 1910, with a patent issued in 1913. Hence, all the scientific pieces were in place when the First World War broke out, but turning them into an industrial-scale operation to make Germany independent from imports took a few decades. This stage was only achieved to a large degree during the later years of the Third Reich. The chemical industry near Auschwitz played a major role in this scheme. “Wartime Germany was a chemical empire built on coal, air, and water. Eighty-four and a half per cent of her aviation fuel, 85 per cent of her motor gasoline, all but a fraction of 1 per cent of her rubber, 100 per cent of the concentrated nitric acid, basic component of all military explosives, and 99 per cent of her equally important methanol were synthesized from these three fundamental raw materials. Apart from Auschwitz, Germany had only three other plants producing the basic chemicals from which the vast majority of all German supplies of rubber, fuel and lubricants were synthesized. Destroying these factories should therefore have been at the very top of all Allied bombing lists – although they were placed there only in 1944. Here is an Allied air photo of the Auschwitz plant taken on January 14, 1945, barely two weeks before the area was occupied by the Red Army. In this section enlargement, you can see many bomb craters caused by a number of Allied air raids on that factory which started in mid-1944. Some of them I have marked here red. Deportation of Jews to Auschwitz as slave laborers started in early 1942, but construction of the new camp Auschwitz-Birkenau had just begun. This here is a map showing the situation in May 1942. There actually wasn’t much of a camp in existence yet. Only in late 1942 did the first inmate showers and delousing facilities become operational in that camp, the already-mentioned hygiene Buildings 5a and 5b with their Zyklon-B fumigation chambers. As a consequence, hygienic conditions at the camp were catastrophic, and inmates started dying like flies right from the beginning. In Danuta Czech’s mainstream standard work on the chronology of events at Auschwitz, we read on page 209 in the entry for May 10, 1942 that the typhus epidemic is spreading at the Auschwitz Concentration Camp, and was even threatening the camp’s SS staff. One of the more prominent victims among them was the Auschwitz garrison physician Dr. Siegfried Schwela, who died during that month of the disease. The entry for May 25th states that more typhus cases were reported on that day in the camp infirmary. By the summer of 1942, possibly also because there was never a proper garrison physician in charge during that time, the typhus epidemic had gotten completely out of control. Hundreds of inmates were dying every day. On page 277 we read in the entry for August 17 that Dr. Kurt Uhlenbrock took over the post of garrison physician on that day, but a footnote explains that he, too, succumbed to typhus a few weeks later and remained in Auschwitz until October 2 of 1942 only because he was still recovering from that disease. Uhlenbrock barely survived. Wirths, here on the left, together with, among others, camp commander Höss on the very right, subsequently went to work to improve the conditions, yet it took him a full year to get the epidemic under control. Among other things, he also saw to it that the most modern delousing technique was installed at Auschwitz: a large microwave delousing device. Here is an image of that device as installed at Auschwitz in early 1944, and this is a circuit layout. These documents are stored in the archives of the Siemens company who developed this device under the aegis of the German Army in order to keep the clothing of German soldiers clean. A shift of priorities occurred in 1943, however, as a result of which the device was used to save the lives of inmates at Auschwitz instead. Here is a blueprint from the files of the Auschwitz camp authorities showing the building where the device was installed. And this is a report by Dr. Wirths of August 1944 in which he enthusiastically praises the exceptional performance of this device. The Siemens Archives in Munich even have some film footage of the device as it is being operated at Auschwitz, but we were not allowed to make a copy of it. Also in 1944, DDT made its first appearance in Auschwitz under the German name “Lauseto.” Nine metric tons were delivered in April 1944, fifteen tons in August, and two tons in October of that year. Together with the highly effective and efficient microwave delousing facility, Auschwitz therefore had hardly any need for Zyklon B in 1944, at least when it came to disinfestations. As a matter of fact, only a little more than one metric ton of Zyklon B was delivered to Auschwitz in 1944, and the last delivery was made in late May of that year. Since the factory buildings of the producer of Zyklon B, the Dessauer Zuckerwerke – that is: Sugar Works of Dessau, in Saxony –, were damaged in summer 1944 by an Allied air raid, Zyklon B deliveries pretty much dried up after that in general. It is important to note that the mass extermination of Hungarian Jews at Auschwitz using Zyklon B is said to have started in mid-May 1944, that is to say, around the time Zyklon-B deliveries came to an end. These are images made by the SS while these Jews were unloaded from trains at Auschwitz. There aren’t any photos showing homicidal gassings, though. There are, however, images showing inmates who have just undergone the admission procedures to the camp, which included showering and shaving to prevent the spread of lice. Having their hair shaved off was certainly humiliating for these women, but it also was a necessary, life-saving measure. Plans for the two big Zyklon-B delousing facilities we saw earlier were drawn up in the summer of 1942. The original blueprints show that the room used for fumigating clothes was called “Gaskammer” that is, “gas chamber.” Most of these blueprints were drawn by inmates employed at the Auschwitz Construction Office. Interestingly, around the same time the blueprints for these two buildings were drawn, Polish resistance groups started reporting the existence of two homicidal gas chambers at Auschwitz. Some of the claimed features of these alleged homicidal gas chambers closely resemble features of these two fumigation facilities. These fumigation rooms were not of the professional kind that had been developed by the company distributing Zyklon B, but of a rather more-basic, if not to say primitive, design. The rooms were huge, had a lot of dead space in the gable area, were not properly sealed along the roofline, had no means of either heating the Zyklon B or distributing its fumes in the chamber, and their ventilation system was rather crude as well. Here you see the two openings where once ventilators were installed. In fact, to operate this fumigation chamber, someone wearing a gas mask had to enter the room and spread out the Zyklon B pellets on the floor, then retreat and lock the door firmly. The doors to these disinfestation rooms were of a makeshift kind as well, since they were made by inmates working in a local workshop. They consisted of wooden boards held together by iron bands, as you can see in these illustrations. The cracks between the boards were – quote-unquote – “sealed” with felt strips, which, by the way, lets hydrogen cyanide through as if it were nothing. These doors were moreover equipped with a peephole, as was required by German law. It stipulated that the person entering such a chamber had to be observed by another person from the outside, who needed to wear a gas mask as well and had to have a first-aid kit at hand. This way he could swiftly intervene in case of an emergency, for example caused by a leaking or improperly donned gas mask. This kind of door is the only kind that has ever been found in Auschwitz-Birkenau. Here is one currently leaning against a wall inside the former Zyklon-B-fumigation wing of Building 5a that has a proper window. It probably served as a door to a hot-air disinfestation room, though. This is a 1945 photo of another typical camp-made wooden door, this one without window or peephole, though. It was found near the ruins of Crematorium V, and is today stored in the Old Crematorium at the Main Camp. Somewhat more-sturdy steel doors were found at the Auschwitz Camp in the old Crematorium building which is said to have had a homicidal gas chamber. However, these doors were ordered and installed only during the conversion of this building into an air-raid shelter for the SS in 1944. At that point in time, this crematorium had already been out of operation for a year. This particular door was sealing the air-raid shelter’s air lock to the outside. This one, which is currently stored in the former furnace room, might have been ordered to seal the opening between the shelter and the former furnace room, before it was decided to wall up that opening. But even those doors are made of a wooden frame and merely have a sheet metal cover to make them gastight. There is no trace of any massive steel door ever having been ordered or installed at Auschwitz prior to mid-1944. This is what they look like. These are massive steel doors as installed at the fumigation chambers at Dachau. That one and this one sealed fumigation chambers at Majdanek, and that’s the fumigation chamber at Stutthof. This fact is not trivial. After all, the orthodox Holocaust narrative has it that hundreds of people were crammed into the homicidal gas chambers. Some witnesses even speak of a thousand, two thousand, like Rudolf Höss, or even three thousand people, like Charles Bendel. Let’s ignore the fact that it would have been physically impossible to press many more than a thousand people into the rooms referred to. Here is a drawing of the largest of the rooms claimed, densely packed with 1680 people (120 rows of 14 each). And such a packing density is only theoretically possible, meaning that it requires the drill and discipline of experience soldiers to line up in such a fashion. Anyway, there can be no doubt that panic would have broken out among those victims, once they realized that they had been locked up in a chemical slaughter house and were about to be poisoned. Note that the wall was pushed over by the pressure exerted by the hundreds of fans pushing against it. The steel doors sealing U.S. execution gas chambers look like an overkill in security, for even if an inmate ever had a chance of getting out of the execution seat he is strapped into, any normal steel door would prevent him from getting out. But here, it’s not just about keeping the inmate in, but also about keeping all the witnesses absolutely safe from any leakage. At Auschwitz, leakage would not have been the major issue. After all, all the leaky makeshift fumigation doors did their job just fine. For homicidal gas chambers designed to contain hundreds of unfettered victims, the challenge would have been to let the door open to the outside, and to secure it against a panicking crowd violently pushing and kicking against it. The door had to open to the outside, because many if not most victims, trying to escape through the door, would collapse and die right in front of it, making it impossible to open any door opening to the inside. However, a door opening to the outside is much more difficult to secure against being opened by force. Simple wooden doors held together by iron bands would never do. The flimsy iron bands would give way within seconds, and the wood would bend and splinter. Here is a scene from the 2011 movie “Auschwitz” by Uwe Boll showing a gassing scene. It shows a massive steel door, as has to be expected, even though the latch is a little flimsy. The problem is that none of the claimed homicidal gas chambers at Auschwitz was ever equipped with such doors. The situation is even worse when it comes to the room at the Auschwitz Museum which is presented every year to over a million visitors as a homicidal gas chamber. This is an original German blueprint of 1942. It clearly shows not only that the room in question, in its original layout, which is labeled as an innocuous morgue, had no door through which the claimed victims could have accessed the morgue from the outside. They actually had to enter into it either by walking through the furnace room where their already-murdered fellow inmates were just being cremated – an absurd idea. Or else they had to enter walking through the dissecting room were piles of corpses were awaiting autopsies by the camp’s physicians – a no less absurd scenario. Worse still, the door connecting the morgue – the alleged gas chamber – to the furnace room was a swinging door, as can be seen from blueprints of 1940, here an enlargement of that door, 1942, also as an enlargement, and even 1944, when the building was converted to an air raid shelter, although here the draftsman apparently got the opening direction wrong. This proves, however, that through the entire history of that crematorium, until that door was walled up in 1944, this door was a swinging door. The question is: How do you make a swinging door gas tight? And how do you secure it against a panicking crowd? Look at this real-world swinging door in my home. There is no way of looking it securely against a panicking crowd. And look at these gaps. By their very design, swinging doors are not even able to prevent a draft. It makes perfect sense to have such a door in a place where people constantly haul heavy loads from one room to another. The door opens with a push in either direction, and in closes by itself. But such a door is utterly inconceivable for a homicidal gas chamber. And yet, there it is. Today, there is no door at all between these two rooms. That’s not a smart design for a homicidal gas chamber either, but reinstating the original design is apparently out of the question as well. It goes without saying that the Auschwitz Museum hides this ugly little secret from its millions of visitors, because otherwise the entire fraud upon which this museum was built would swiftly collapse. On this chart, today located right next to the building, there is no trace of that swinging door. There’s more to the story, but before discussing this, let’s go back to chemistry. As mentioned before, in the case of the Bavarian church in Wiesenfeld, masonry samples were taken and analyzed in order to find out what had caused the blue stains. Similar investigations were done in Auschwitz, where a number of researchers took masonry samples of the various fumigation chambers and of rooms that are said to have used, or rather misused, at some point in time to mass murder people with hydrogen cyanide in the form of Zyklon B. Before we can go into the details of these analyses, however, we need to address a number of questions. First, how likely is it to find any trace of the blue chemical compounds involved in the first place? After all, several decades have passed since Zyklon B was used in those locations. Next, what conditions are favorable to their formation? And finally, are there any factors that could interfere with the reliability of chemical analysis? The first question concerns the stability of the blue pigment we are analyzing. Viewed on the surface of things, it is plainly obvious that this pigment must be very stable, because it can still be found to this day in the walls of the various fumigation facilities, even on the outside where the walls have been exposed to the influence of sunshine and rain for many decades. This fact is backed up by a long-term-stability test which was performed in England starting in the late 1950s. During that test, the blue pigment was simply precipitated on an aluminum sheet, and that aluminum sheet was then exposed to rain and shine for 21 years on the rooftop of the factory building of the High Duty Alloys Company in Slough, which is a western suburb of London. During the 1950s and 1960s, at the peak of the age of coal, acidic smog was a common occurrence in and around London. Hence, the color samples used in that test were exposed to one of the most aggressive environments possible. Yet still, the results published in this paper of 1981 were astounding. They showed that this Prussian Blue pigment was one of the most stable pigments of all the pigments investigated, similar only to iron ochre, which is basically rust. Almost all of the samples used hardly lost any of their vibrancy. Hydrogen cyanide was removed by letting it react with a solution of iron-two and iron-three hydroxide, resulting in Prussian Blue. Because Prussian Blue was considered innocuous, many city-gas works and coking plants simply dumped the pigment on the factory grounds. As a result, the soil of thousands of coking and city gas plants all over the world contains high quantities of Prussian Blue to this day, at times even giving the soil a bluish hue. In the 1990s, when environmentalism became fashionable, people started noticing the high quantities of cyanide in the soil of former coking plants. Ever since, a plethora of scientific papers has appeared investigating how dangerous this cyanide contamination is, if at all. One scientist in particular built his career on pushing the panic button about that, the Dutchman Johannes Meeussen. In a number of papers which he collected in a volume he eventually submitted as his PhD thesis, he theorized that Prussian Blue from coke-gas scrubbers deposited in soil would be highly unstable and should dissolve within a short period of time, giving off toxic levels of free cyanide into the ground water. But when he tested his theory by taking soil samples and analyzing them, the results did not support his theory, which turned out to have been based on the premise that Prussian Blue is present in the soils as a microscopic mixture of iron cyanide and iron hydroxide, that is, rust – a so-called solid solution. That may in fact be the case with some of the Prussian Blue dumped on the grounds of former gas works, as this Prussian Blue formed quickly using an excess of iron hydroxide. But that is not at all what we would be dealing with in our case. The slow formation of the pigment in masonry in the absence of noticeable amounts of dissolved iron hydroxide precludes the formation of mixed crystals and supports the formation of pure Prussian Blue crystals. Further studies revealed that Prussian Blue as such is in fact highly stable for many decades. This chart shows in purplish blue the range of stability of Prussian Blue and, in a lighter blue, of Turnbull’s Blue, which is almost identical to Prussian Blue. The acidity of the environment is plotted along the x axis, and the oxidative strength on the y axis. Actual environmental conditions in masonry and soils are located between pH 4 and pH 8. In other words, there is no way Prussian Blue could dissolve quickly under the circumstances considered here. The actual solubility of Prussian Blue can be calculated by the upper limit of alkalinity at which it is still stable. According to this chart, that limit is somewhere between pH 9 and pH 11, depending on the oxidative strength of the environment. With the known solubility of iron(III) hydroxide, this yields a solubility product pKS for Prussian Blue of somewhere between 165 and 200. To cut a long story short: If Prussian Blue forms in masonry as a result of exposure to hydrogen cyanide, the pigment formed is extremely stable. In fact, it is similarly stable as the main components of the wall itself, since it is an integral part of it and one of its most stable components to boot. In particular, it is less soluble than the iron hydroxide from which it formed. Hence, as long as the wall itself exists, it must be expected to contain Prussian Blue in undiminished concentrations. Therefore, taking samples and analyzing them for Prussian Blue makes sense, even if undertaken many decades after the events that led to the pigment’s formation. Let’s now turn to the conditions that are favorable for the formation of Prussian Blue. First off, the formation of Prussian Blue in masonry exposed to hydrogen cyanide cannot be the rule, because the fumigation of buildings with Zyklon B and similar products based on hydrogen cyanide has been a common practice for more than half a century, yet reports about walls turning patchy-blue, such as the two churches I discussed earlier, are rare exceptions. The question is: what do all the cases of wall discolorations known to us have in common that sets them apart from the rest? Well, fumigations of buildings for pest control usually take place only in older buildings, because newly erected buildings cannot be infested by pests. Such an infestation usually takes years or even decades. However, all the fumigation chambers of the Third Reich era were specifically built to be used right after they had been erected. The same instant-exposure situation was given in the case of the two churches, whose plaster had been replaced a few weeks prior to the fumigation. The same, of course, would have been true for the claimed homicidal gas chambers inside the crematoria at Auschwitz-Birkenau, which are said to have been built for the specific purpose of being used right after these facilities had been finished. So, what factors are favorable to the formation of Prussian Blue in masonry? In this presentation, I will focus only on the most important aspects of the physics and chemistry of hydrogen-cyanide interaction with masonry. More details with many references to expert literature can be found in my book. Anyway, in order to find out which factors support the formation of Prussian Blue in masonry, we need to look into the various steps leading to the formation of this pigment. First, hydrogen cyanide needs to get absorbed by the moisture contained in the wall. Next, the hydrogen cyanide molecules must be split to form cyanide ions, because only these ions react with iron at a considerable rate. Then, those cyanide ions must attach themselves to the iron ions contained in rust. That means that the cyanide ions displace the oxygen and hydroxide ions that, together with the iron, constitute rust. After this, some of the iron must be reduced from the trivalent to its bivalent form, because Prussian Blue is a mixture of both, but the rust contained in masonry contains almost exclusively trivalent iron. Finally, all components must come together so as to precipitate as the blue pigment in question. The first step requires that the masonry contains lots of water. At low temperatures and a high relative humidity of the ambient air, such as one can find in unheated basements, up to 10% of the masonry material can consist of water. If the ambient air is warm and dry, however, this value may sink down to just 1% or even less. The influence of moisture in the wall on the tendency to absorb hydrogen cyanide was determined during a series of tests conducted in Germany in the late 1920s. In our context, a comparison between a moist lime sandstone and one dried for half a year at 20°C, that is 68°F, is of interest. Here you can see a factor of almost 10 between moist and dry material. In fact, a high water content is conducive to all the reactions considered, none of which can take place at a noticeable rate in the absence of water. Hence cool and thus moist walls will be more inclined to form Prussian Blue than warm and dry walls. The second step depends on the acidity of the masonry’s capillary water. Since hydrogen cyanide is a weak acid, it forms cyanide ions to a noticeable degree only in an alkaline, or low-acidity environment. Such an environment exists in fresh lime mortars and plasters for a few weeks, and in cement mortars and concretes for many months, years or even decades, depending on their exact composition and history. It can be stated in general that a masonry material remains alkaline for a longer period of time, if it contains little lime and lots of cement. Hence, fresh and thus still-alkaline lime plaster supports this step of the formation of Prussian Blue for a number of weeks, while mortar and concrete rich in cement support it for many months, if not years or even decades. The difference in absorption of hydrogen cyanide between fresh, hence alkaline mortar and old, well-set, hence pH-neutral mortar was also investigated in the previously mentioned study. We derive from it that, compared to the old mortar, the fresh, alkaline mortar absorbed at least 26 times as much hydrogen cyanide, and that it released it much more-slowly, widening the gap between the two types of mortar as time went by. Aging lime plaster turns pH-neutral after several weeks, at which point any cyanide not bound by iron will be turned back into hydrogen cyanide by the wall’s moisture. That hydrogen cyanide will slowly evaporate and vanish into thin air. Cement mortar and concrete, however, stay alkaline for much longer periods of time. Hence, these materials allow any cyanide that has accumulated in its capillary system to continue reacting for a much longer time. The third step is the slowest of all the reactions considered. It therefore determines the rate of formation of long-lasting iron-cyanide components. While the trivalent iron of rust becomes more readily available for reactions with increasing acidity, its reaction partner, the cyanide ion, has the opposite tendency. Hence, while fresh and thus very alkaline plasters, mortars and concretes can accumulate lots of cyanide, it takes a long time for iron cyanide to form. In the cases of the two churches mentioned earlier, that process took many months up to a year. Helpful to this slow process is the next step, the reduction of trivalent iron to bivalent iron. This reduction requires that something else gets oxidized. In our case, the oxidizing agent is an excess of cyanide itself, which also needs an alkaline environment for this reaction. The driving force behind this reaction is the energy released when trivalent iron surrounded by cyanide turns into bivalent iron. That reaction is so strong in an alkaline medium that it is even capable of turning trivalent chromium into hexavalent chromium. The energy difference ΔH between the two types of iron cyanides is some 64 kilo-Joule per mol. Hence, even if only small amounts of iron(III) cyanide can form in a moderately alkaline environment, it gets withdrawn from the equilibrium by turning into iron(II) cyanide in the presence of excess cyanide. In the course of many days, weeks, months or even years, this can amount to considerable quantities of iron(II) cyanide. The last step, the precipitation of Prussian Blue, can take place when the acidity sinks below the limit where this pigment is stable compared to iron hydroxide, that is, rust. As shown previously, that is somewhere between pH 9 and 11. Since the masonry’s acidity sinks with time starting at the surface, that’s where most of the Prussian Blue will show up initially. If the wall is moist, that moisture evaporates at the surface, leaving behind everything that travels along with the water but cannot evaporate. That includes any soluble iron cyanides not yet precipitated as Prussian Blue. Hence, this pigment tends to get accumulated on the surfaces, inside and outside. The red arrow on this photo points to the spot where I took a wall sample from the inside of Building 5a in Auschwitz-Birkenau. Note that just a few millimeters beneath the surface, the plaster is considerably less blue. But even in deeper layers, the plaster still contains high concentrations of cyanide. It’s just that on the very surface, that pigment’s concentration is extremely high in certain places. This accumulation process on a wall’s surface depends on a number of factors, starting with the kind of material that makes up the wall at any particular spot, the amount of water in its capillary system, and the water’s mobility. Last but not least, the heat conductivity of the underlying material also has an influence on this. There are a few other factors to be considered. For instance, it goes without saying that high contents of rust in the masonry are also conducive to the formation of Prussian Blue, but since most materials have an iron content between 1 to 5 percent anyway, the difference between them is usually negligible. Furthermore, any masonry material containing considerable amounts of cement also has the advantage that its microscopic inner surface is much larger than that of masonry consisting mainly of lime. Here is a scanning-electron microscope image of lime mortar, and here is one of cement mortar at the same magnification, although the image is much smaller. As you can see, the crystals in the cement mortar are much smaller. Here is a series of three images showing what happens to cement and concrete after water has been added to the cement powder. The first image shows the state after 4 hours, the second after 10 hours, and the last after 21 hours. What you see growing here are needles of aluminosilicates, something that happens only in cement mortars and concretes, but never in lime mortar. These crystals are responsible for the fact that cement mortar is much firmer and longer-lasting than lime mortar. Due to this micro-crystalline structure, the inner surface of cement and concrete is much larger than that of lime mortar. The actual value, measured with water vapor, can be as high as 200 square meters per gram of material. Lime mortar has only about 10% of that value. The micro-crystalline structure of cement mortars and concretes means that the solid/liquid interface is very large. Since we are dealing here with a reaction of the mostly solid iron ions with cyanide dissolved in the capillary water, such a large surface is very conducive to this reaction. It also means that more iron is exposed at the surface, and that it is more inclined to react, energetically speaking. The opposite is true for sintered materials, however, which do not tend to form Prussian Blue, because the sintering process drastically reduces the inner surface of such materials, hence their propensity to react in any way. Bricks are a case in point. Only on the surface, where the material has been eroded due to environmental influences, is the rust contained in them able to react to a considerable degree. Before we turn to the actual analysis, we need to understand that analyzing a substance for a certain chemical isn’t always a straightforward process. Many methods are sensitive not just for one chemical, but for several, so a certain reading might not necessarily indicate how much of a certain chemical is in a sample, because it may give a combined reading of several chemicals. 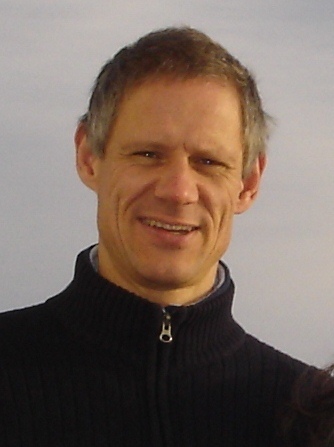 In the present case, Johannes Meeussen determined with a series of experiments the kind of chemicals that can give false positive readings. The most common one among them is carbonate. This is very important for our case, because one of the main components of masonry is calcium carbonate. In fact, older lime plaster samples may mainly consist of it. If we extrapolate Meeussen’s data to carbonate contents in the order of several hundred grams per kilogram sample material, or several ten percent, this means that such samples can yield a reading of several milligrams of cyanide even in the total absence of any cyanide. In other words, the analytical methods used to detect cyanide traces become insensitive in the case of masonry material rich in carbonates, and readings of up to a few milligrams of cyanide per kilogram of sample material should be considered uncertain or unreliable. Equipped with this knowledge, let’s now have a look at the analytical results of a number of researchers who took samples at Auschwitz. To make things easier to digest, I do not give the results of individual samples in this table, but only the ranges of results. Furthermore, I have grouped the samples by the type of location they came from, and then by the individual who took the samples and had them analyzed. The first, white set of results comes from samples taken from walls which are said to have been part of homicidal gas chambers. The second, blue set of results concerns samples taken from walls of former fumigation chambers, mainly of the two buildings at Birkenau shown before. The third set of results relates to samples taken from walls of buildings which belong to neither group. First, we see that all samples taken from structures that were not fumigation chambers exhibit results which are close to what must be considered the detection limit. To demonstrate this, I have actually retested two of the samples using a different lab. While the first one – the Institute Fresenius – found traces in the samples, the second lab did not. This means basically that the cyanide readings in samples taken from claimed homicidal gas chambers are comparable to those taken from any other location, and that none of them contain any traces of cyanide that can be detected with any degree of reliability, if they exist at all. The situation is different when it comes to samples taken from former fumigation chambers. Only three of the four individuals who took samples agree on the range of cyanide contents. All samples that these three samplers had taken had readings of at least a gram of cyanide per kilogram of sample material. This means that at least 0.1% of the samples consisted of cyanide, something we would expect of a sample taken from walls exhibiting a patchy blue discoloration caused by Zyklon-B fumigations. The third set of samples taken from various Auschwitz fumigation chambers and analyzed by Markiewicz and colleagues, however, didn’t result in any significant cyanide readings at all. First, Iron Blue as such is not even sold as wall paint at all, since it lacks sufficiently high lime fastness. It is offered only as a mixture with other blue pigments. But there is no trace of any other blue pigment on these walls. Second, if this argument were correct, it would be remarkable that the SS, of all the rooms in the concentration camps of the Third Reich, would apply blue paint only to their disinfestation chambers where no one could admire it; and, strangely, always with the same blue: Auschwitz, Birkenau, Majdanek, Stutthof…. All other rooms were merely whitewashed at best. Third, the disinfestation chambers themselves already had a coat of lime paint. Why would they cover this coat of lime paint with another paint which, in addition, is not even lime-fast? They would therefore have had to wait until the lime paint and plaster had set before one could (re‑)paint the walls. And then it would have been by no means certain that the paint would not furthermore have become stained as a result of chemical reactions. Fourth, neither would a coat of paint on the inside of the room explain the absence of blue discolorations on the interior walls which were added to the disinfestation wing of Building 5a at a later time. It is striking that only such walls have blue stains which were exposed to hydrogen cyanide. Fifth, the wall-paint argument is refuted by the fact that none of the colored walls shows any pattern of brush marks and also no identifiable coat of paint, since wall paint consists not only of pigment, but also of a considerable proportion of binding agents to hold the pigment in place and other chemicals. The blue pigment is, however, simply one component of the lime paint, plaster and mortar. Sixth, the wall-paint argument furthermore fails to explain how the artistic skills of the painters could have succeeded in imitating the brick structure lying beneath the plaster. Such a pattern, however, is fully consistent with the accumulation of cyanides and the formation of Prussian Blue as a result of fumigations, because that depends on the wall’s humidity and temperature, which in turn depends on whether there is mortar or brick behind the plaster. Seventh, the wall-paint argument does not explain the only-pale-blue tint of the interior south walls of the original disinfestation wing of Building 5a. This, too, can be explained by fumigation, because that interior wall was warmer and dryer than the exterior walls, hence less prone to form Prussian Blue. Eight, neither does this wall-paint argument explain the high cyanide content in the superficially white, iron-poor material of the walls of the disinfestation wing of Building 5b – unless one posits that these rooms were painted with an “iron white,” a wall paint that does not even exist. Here, too, the fumigation hypothesis has no trouble explaining this. Since the plaster in that building does not adhere firmly to the underlying wall, moisture cannot easily travel from the wall through the plaster into that room. Thus, accumulation processes on the plaster’s surface are impeded. The Austrian paper quoted by Markiewicz and colleagues in order to prop up their auxiliary wall-paint hypothesis was published in this political pamphlet. It was written by Josef Bailer and stands out by not having a single reference to any literature, chemical or otherwise, regarding the formation and stability of Prussian Blue, or any other cyanide chemistry, for that matter. In his first footnote, he excuses that fact by stating that his subsequent remarks – quote – “aren’t supposed to be a treatise on the chemistry of hydrogen cyanide” – unquote. How can any researcher take such a paper seriously in the first place that is devoid of any substantiated reasoning? Well, Markiewicz didn’t back up any of his claims with any references to chemical literature either, as can be seen from his meagre footnotes. So, I guess ignorant birds of the same feather flock together. And yet, these two vacuous papers serve as the linchpin for the orthodox musings on the chemistry of Auschwitz. Anyway, after Markiewicz and his colleagues had picked an analytical method that wouldn’t find anything anywhere, no matter how hard they looked, they found that the readings of samples taken from fumigation chambers were similar – that is to say, non-existing – to those taken from claimed homicidal gas chambers. Hence, they concluded that the history of both groups of samples must also have been similar. So, because we know that Zyklon-B gassings took place on a grand scale in the fumigation chambers, they concluded that similar Zyklon-B gassings must also have taken place in the claimed homicidal gas chambers. And Bingo! The reality of homicidal gassings at Auschwitz had been confirmed! Because the absence of any evidence proves what needs to be demonstrated! So, how do you prove that a civilization exists on Mars? Well, first you take a detection device that cannot detect civilizations. Then you use it to measure the civilization existing on earth. Your device will show some value close to zero. Next, you train your instrument on Mars. Here, too, the instrument shows a value close to zero. Hence, you conclude that a civilization similar to ours must indeed exist on Mars, for the values measured in both cases are similar! Of course, if you care to look, there would be a similar civilization “value” for the Moon, for Mercury, Venus, Jupiter, Saturn, Neptune, Uranus, and Pluto; for the sun, for Alpha Centaury, for the Andromeda Nebula, and wherever you train your smart device. Smart? Really? There are people who take the Polish frauds around Jan Markiewicz seriously. Some don’t know better, because they simply trust quote-unquote “renowned” researchers, but others do know better, such as the Jewish-American chemist Dr. Richard Green. The psychology behind his persistent denial of reality is worth its own documentary, so I won’t dwell on it here. It goes without saying that the lack of any reproducible, reliable cyanide readings in wall samples taken from claimed homicidal gas chambers does not conclusively prove that no gassings took place there. After all, most premises fumigated with Zyklon B don’t exhibit such residues either, as I mentioned before. But then again, so do all buildings that were never exposed to the gas. What we need to do is look into all possible factors that can influence the formation of Prussian Blue, and then compare those with the two cases: the fumigation chambers on the one hand, and the claimed homicidal gas chambers on the other. The documented case of the church at Wiesenfeld where the plaster turned patchy blue after just one fumigation. Morgue #1 each of Crematorium II and III at Birkenau. These unheated underground basements were built into the ground water, from which they were insulated by a layer of tar between two layers of bricks. Their interior plaster is of a very hard consistency to this day, indicating a high portion of cement. The roof is made of concrete; so is the floor. These rooms allegedly served as homicidal gas chambers. When samples were taken there in the 1990s, the roof and walls of Morgue #1 of Crematorium II were still extant to a large degree, and sections of the interior wall’s plaster were relatively well protected from environmental influences. The disinfestation facilities 5a and 5b at Birkenau, as shown here already a number of times. While the exterior walls have been exposed to the elements since these facilities were built in 1942, their interior walls have always been sheltered from any weathering. The plaster and mortar of these buildings is coarse and brittle, indicating a high amount of sand and lime as their ingredients and little, if any, cement. The former Zyklon-B-fumigation chambers of these buildings were heated above-ground rooms. While we have relatively reliable information about the fumigation cases, some parameters of the claimed homicidal gassings are by necessity speculative in nature, as we have only highly unreliable and at times wildly divergent witness statements to back them up. I’ll get back to that in a few minutes. In this table, I have listed seven features of the masonry under consideration. Four of them – alkalinity, inner surface, moisture and number of gassings – clearly favor the claimed homicidal gas chambers over the disinfestation chambers when it comes to the formation of Prussian Blue. This is mainly due to the fact that the underground morgues were unheated, hence cool and moist locations, and that their plaster, containing large quantities of cement, was of a much higher quality, evidently due to the constant high moisture it needed to withstand. Hence, if we consider only the chemical and physical features, the claimed homicidal gas chambers would have had a considerably higher propensity to form Prussian Blue than the fumigation chambers. However, we need to somehow explain a difference of up to a factor of one thousand in favor of the fumigation chambers, although so far, the opposite seems to be more likely. But there are two more factors related to how the rooms were used, which I have marked with three question marks in the gas chamber column. The first concerns the amount of hydrogen cyanide used per volume of air, called concentration, and the second concerns the amount of time during which the gas was contained in these rooms, and thus could react with the masonry. This is exactly the line of argument of scholars defending the orthodox Holocaust narrative, such as Richard Green, Josef Bailer and Jan Markiewicz. They claim that, compared to fumigations, only a fraction of the concentration of hydrogen cyanide was used, and that killing humans took much less time than fumigating bugs. With that, they are not entirely wrong. But they are not entirely right, either. First, in order to kill insects like fleas, lice and woodworms, one also has to kill their larvae and eggs, which, due to their slow metabolism, react only slowly to poisonous substances in the air. In contrast to that, humans, as warm-blooded animals, always have a fast metabolism. When it comes to the speed of the execution and the amount of poison used to effect it, what do witnesses claim about Auschwitz? We have only one testimony regarding the quantity of Zyklon B allegedly used during homicidal gassings. It stems from Rudolf Höss, the former Auschwitz camp commander. However, he was severely tortured during his initial interrogations, and many of the claims he made in his various statements are demonstrably false. I won’t go into details about that here. Hence, I must abstain from using his coerced confessions as a source, not least because they would be inadmissible in any proper court of law. There is an indirect way of determining the amount of poison allegedly used, though. It uses the claimed execution times in order to calculate from them the effective concentration needed to achieve such times. That requires, of course, that we have reliable information about the execution times. Fact is, however, that claims about that vary between instantly and up to 20 minutes. We can get out of that bad fix by acknowledging that not all witnesses are created equal. As a matter of fact, many witnesses claiming knowledge of how long a gassing lasted at Auschwitz cannot possible have that knowledge. It requires knowledge of when the gassing started and when it was considered concluded. When it comes to executions in the underground morgues of Crematoria II and III, whose activities were hidden from most, the only individuals who could possible know all this were the physicians who are said to have ordered and supervised the gassings. I have found four former Auschwitz physicians who made statements in this regard, and they all agreed more or less that it took only a few minutes, not more than five anyway, until all victims had succumbed. Now, remember that in U.S. execution gas chambers, it took up to ten minutes to make the toughest executees succumb. Employing Haber’s rule that it takes twice the amount of poison to kill in half the time, this means that the effective concentration used at Auschwitz must have been at least twice that used in U.S. execution gas chambers. Their concentration is given as roughly a third of one percent by volume, which means that some two thirds of one percent by volume or more would have been needed to achieve the execution times claimed by these physicians. Already now you can see that we are very close to the concentrations usually used for fumigations, which are usually around 1 to 2 percent by volume. That takes one of the two reasons out why we should expect less Prussian Blue in homicidal gas chambers than in fumigation chambers. And how about the time during which the masonry was exposed to the poison? Here we run into an even bigger problem. Again, eyewitness statements clearly stating how long it took before the doors to the execution chamber were opened are rare, and few of those who did testify could possibly know it in the first place. In addition, when it comes to executions with Zyklon B, we face the problem that it does not behave at all like the cyanide powder mixed with sulfuric acid as it was used in U.S. execution gas chambers. In those chambers, the bulk of the poison gas develops instantly, engulfing the victims within seconds. Zyklon B, on the other hand, was developed to release its poison only slowly, both in order to allow personnel spreading it out in the fumigated locations to retreat safely, and also in order to continuously release more hydrogen cyanide for an hour or more. This was meant to compensate for losses occurring in fumigated places through leakage, absorption in moisture, and adsorption on fabrics, for instance. This is a German paper that discussed how fast hydrogen cyanide evaporates from the carrier substance of Zyklon B. It was published in 1942, right at the height of Zyklon-B usage at Auschwitz. The author, Richard Irmscher, was a researcher involved in developing and improving Zyklon B. Zyklon B was available on a number of different carrier substances, but toward the beginning of the war, it was pretty much down to wood-fiber discoids and gypsum. While in the U.S. the discoids were primarily used, the type usually used in German concentration camps during the war was made of gypsum pellets. In the year 2000, the Auschwitz Museum cooperated in having some pellets analyzed which they had taken from Zyklon B cans left behind at Auschwitz by the German authorities. A spectral analysis carried out on the pellets confirmed that they consisted mainly of gypsum. Here is a chart taken from Irmscher’s paper showing how fast hydrogen cyanide evaporates from the gypsum-type Zyklon B, depending on the ambient temperature. These values are valid only for cases where the pellets are spread out thinly and at low relative humidity. The highest temperature given is 15°C, which corresponds to 59°F. In our case, where people would have been packed tightly into the chamber, the room temperature sooner or later would have risen well beyond 15°C even in an unheated basement room in winter, and its relative humidity would have reached 100% rather quickly, probably already before the start of the actual execution. That complicates our considerations, as does the fact that it would not have been possible to spread out the pellets as during a fumigation. While a higher temperature accelerates the evaporation, a high humidity leading to condensation of moisture on the gypsum pellets would have slowed down the evaporation to a crawl. Hydrogen cyanide is so soluble in water that, once the carrier material is moist, it will give off its hydrogen cyanide only reluctantly, even if warmed up. At the end, the entire scenario we are trying to figure out depends on how the Zyklon B is said to have been applied. Here is a scenario invented by German moviemaker Uwe Boll in his 2011 movie “Auschwitz.” Was the Zyklon B dumped indiscriminately into the execution chamber through some openings, as some witnesses claimed, in some columns, as shown here, or was it lowered into the chamber through some contraption and retrieved after it was all over, as some other witnesses have claimed? And how reliable are these witnesses? Plus, are their claims consistent with documentary and physical evidence we have? Moreover, are these claims technically feasible? And can they have the claimed results? Let’s start by asking us what a quote-unquote “reasonable” person hell-bent on mass-murdering people would have done. The camp authorities of Auschwitz in charge of building gas chambers – be they for fumigation or for execution – had been informed about the best way of conducting such gassings: They had been sent two articles describing the Degesch circulation device as discussed earlier. We know that, because these articles were found in the camp’s files currently stored in Moscow. In this device, a can of Zyklon B is opened by a large can-opening mechanism operated from the outside with a crank wheel like this, or a simple crank. Once opened, the Zyklon-B pellets fall into a metal basket, through which a fan blows warm air. This fan gets its air from the other end of the chamber, resulting in the gases inside the chamber being circulated, leading to a swift and even distribution of the poison gas. By retracting the crank wheel at the end of the procedure, the fan no longer circulates the air but blows it out, replacing it with fresh air from the outside. Here is Degesch’s schematic drawing as shown earlier explaining it in more detail. Degesch offered that fumigation device, called a “Normalgaskammer” or “standard gas chamber,” to the Auschwitz authorities, who initially planned to install a number of them. That project was abandoned in 1943, however, when the swift deployment of the world’s first microwave device to kill bugs was promised, as mentioned before. It goes without saying that it would have made perfect sense for the Auschwitz authorities to use similar principles when outfitting a room for mass executions. Keeping the device out of reach of the victims, who could otherwise sabotage or wreck it in their fits of panic, and making sure that warm air is blown through the gypsum pellets to quickly evaporate and dissipate the fumes seems like a no-brainer. I could make detailed suggestions on how to solve the challenges involved most intelligently from an engineering point of view, but I won’t do that here, because we’re not in a competition to reinvent the claimed Nazi gas chambers. Now let’s look into what orthodox scholars claim about how it was supposedly done. We’ll go through one Auschwitz gas chamber after another. First, there is Crematorium I, the old crematorium in the main camp shown to this day to millions of tourists every year. It is equipped with four wooden shafts built into four roughly hewn holes in the roof, marked here with red arrows. They are said to have been used to simply pour the Zyklon-B pellets on top and among the people inside. Here is a view of these primitive holes as seen from the inside. It goes without saying that it would have been impossible to remove the Zyklon B after the execution. Hence, it would not have been possible to successfully ventilate the room unless all hydrogen cyanide had evaporated from the pellets. But how does Piper know this? After all, when this – quote-unquote – “reconstruction” work was performed in 1947, he was only six years old. Asked whether there is any proof other than Piper’s word for the claim that there were traces of old openings on the ceiling before the new openings were opened in 1947, the Auschwitz Museum responded that they have no documentation at all in this matter. All they have to prop up their claim is only one testimony deposed in 1981, hence 34 years after the fact, by the former museum guard Adam Źłobnicki. Here is his statement. Interestingly, he remembered quote-unquote “exactly” that the new shafts were made of bricks, when in fact the museum used primitive wooden boards to build these shafts. So much for that. But wait. Why did the museum ask a former museum guard to testify about this? If anyone had any knowledge about what was done back then, it would be the museum authorities of that time, and in particular the individuals who commissioned and supervised the quote-unquote “reconstruction.” Any construction worker or architect hired to do the work would also seem to be a competent witness in this regard. But why, of all possible people, would a former museum guard have had any knowledge about traces of old holes having been turned into new ones? And why did the museum secure his testimony only 34 years after the fact? Why wasn’t the claimed crime scene photographed in detail, in particular the only obviously incriminating trace of mass murder, that is, traces of the old Zyklon B holes? Shortly after the retreat of German forces from the Auschwitz area in early 1945, the Polish authorities commissioned a lengthy expert report on documentary and physical evidence found at Auschwitz, compiled by the Polish investigative judge Jan Sehn, here a portrait of him, and by professor of engineering Dr. Roman Dawidowski. But nowhere in their report is anything mentioned about holes or traces thereof in the ceiling of this building – or of any other Auschwitz building implicated in mass murder, for that matter. Embarrassed by this total lack of any evidence for their claims, the Auschwitz museum authorities must have used this one former museum guard as a fig leaf to cover up the fact that the Auschwitz emperor is naked. But that’s still not the end of it. Here is how these four holes are distributed across the ceiling of what tourists encounter at Auschwitz today as – quote – “the gas chamber.” As you can see, they are neatly arranged to be crosswise at equal distances to opposite walls. But there’s a glitch. When the Auschwitz Museum quote-unquote “reconstructed” that building by removing the separation walls added in 1944, they removed one wall too many, leaving behind a room that is considerable longer than the original morgue, aka gas chamber. If we put that original wall back in place, and if we also remove the additional entry with the air lock added in 1944, the distribution looks like this. 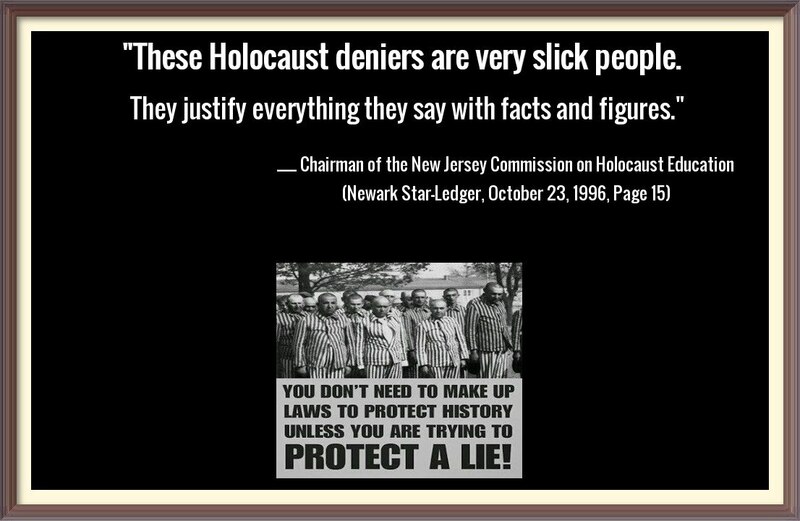 Even though that is not an iron-clad proof that the holes are post-war fakes, this fact combined with the fact that there is no evidence at all for the existence of any holes prior to this quote-unquote “reconstruction” would suffice to convince any jury in a trial that the Auschwitz Museum committed a fraud and is thus guilty of the criminal charge of tampering with the evidence of a claimed crime scene. At any rate, no sane person would compromise a massive concrete roof by hacking holes into it in order to dump Zyklon B onto people inside. There would have been far better and less destructive methods of adding poison gas into that room. That’s the end of that claim. Let’s move on to next claimed gas chambers, the so-called bunkers. Two of them are said of have existed. They allegedly were two old farm houses converted to mass execution gas chambers. There is no evidence whatsoever that the first of these buildings ever existed as such. For the second bunker, we have witness drawings, like this one by David Olère. Zyklon B is said to have been dumped through openings in the wall, plain and simple. See the red arrow. I will not dwell on this here in more detail. When it comes to non-anecdotal evidence for Bunker 2, the Auschwitz museum presents us with foundation walls visible to this day. Although that may be impressive, if we look at any of the witnesses who testified about this claimed mass-slaughter facility, their description of that building has nothing to do whatsoever with the size, shape and partitioning of the actual building as evidenced by its foundation walls. Here is a typical drawing of Bunker 2 by the witness Slamy Dragon. “Then an SS man came […] and got out a gas canister. He then went to a ladder with this gas canister. […] At the same time, I noticed that he had a gas mask on while climbing the ladder. […] he shook […] the contents of the canister into the opening. […] When he had closed the little door again, an indescribable crying began in the chamber. […] That lasted approximately 8-10 minutes, and then all was silent. A short time afterwards, the gate was opened by inmates, and one could see a bluish cloud floating over a gigantic pile of corpses. […] At any rate, I was surprised that the inmate commando who was assigned to removing the bodies entered the chamber without gas masks, although this blue vapor floated over the corpses, from which I assume that it was a gas.” – unquote. There are two obvious problems with this testimony, and many more, if we were to go into the details, but don’t worry, I won’t. The first obvious problem is that hydrogen cyanide fumes are colorless. We find in quite a few testimonies an association between the color blue and hydrogen cyanide as such or the skin color of victims of cyanide poisoning. Associating hydrogen cyanide with the color blue originates with the fact that German chemists who discovered Prussian Blue some 250 years ago correctly associated it with hydrogen cyanide. For that reason, they gave hydrogen cyanide the German name “Blausäure” – “blue acid,” which refers to the fact that this was the chemical that formed a blue pigment. Nevertheless, it is itself without any color. Next and more importantly, it would have been impossible for the inmate commando to remove the bodies from the chamber without wearing gas masks. Here is a sequence of cartoons by French cartoonist Konk illustrating the problem. Since the Zyklon B had been dumped into that room only some ten minutes earlier, it would have kept releasing lots of hydrogen cyanide for the better part of an hour or even more, depending on the circumstances. Since these facilities are said to have had no ventilation system at all – which in itself is a ludicrous claim – entering that room and performing hard labor in it without gas masks would not have been possible for many, many hours. And that’s the end of that set of gas chamber claims. This is also true for the gassings said to have been performed in the claimed gas chambers of the Crematoria IV and V at Birkenau, which allegedly didn’t have any ventilation system either. Anyone claiming that a room without any ventilation system was used for the mass slaughters of people using poison gas should see a psychiatrist. Having brought up Crematorium IV and V, there is a twist to that story as well. Here is the floorplan of Crematorium IV. Crematorium V was arranged mirror-symmetrically to it. The rooms marked red and with a number one are said to have been used for mass slaughter – without any ventilation. Yeah, sure. Anyway, Zyklon B is said to have been thrown through openings in the walls, here highlighted in green, some of which have a number two next to them. On this photo of 1943, you can see these openings. The problem is that, after subtracting the wooden frame of the shutters, these openings were only 20 cm wide and 30 cm high, and that they were equipped with iron grates. This is shown by documents found among the paperwork left behind in the workshop where inmates had made those grates. One witness even describes them. Now, here is the problem. If you install an iron grate in that opening, which itself measured only 20 by 30 centimeters, then how can you stick a Zyklon B can in there that had a diameter of some 15 centimeters in order to pour out any Zyklon B? The answer is: you can’t. Let’s turn to the two crematoria where the main action is supposed to have taken place, Crematoria II and III. Most gas-chamber victims are said to have been killed there. Taking samples from Crematorium II is most-promising also because its claimed gas chamber is in a somewhat-preserved state. Here are some images of the reinforced concrete roof of Morgue number one of Crematorium II taken in 1998. The building is said to have been blown up in late 1944 or early 1945 by the Germans before they retreated from the area. The roof of that morgue was lifted off the seven pillars that supported it and collapsed back down. Some of the pillars punctured the roof, while others still support it in places. Orthodox historians claim that there were four openings in each of the roofs of these Morgues of Crematoria II and III through which Zyklon B was poured in order to kill those trapped inside. I will not review here the various reasons for that claim, but will go straight to the question of whether there is any evidence for this claim that is other than anecdotal in nature. First, here as well the expert report written by Dr. Sehn and Dr. Dawidowski right after the war makes no reference at all to any such openings. However, it is clear from an expert report compiled by the Institute for Forensic Research in Krakow in June 1945, here the first page of it, that Dr. Sehn had sent to that institute material for analysis which originated from the interior of Morgue #1 of Crematorium II. Hence, Dr. Sehn must have somehow gained access to that room’s interior. Since the only entrance to it had collapsed and is filled with debris, he can have gained that access only by way of either entering through pre-existing holes, if any existed, or if not, by creating new ones. The only two holes that can be seen in that roof today are these two. One of them had four reinforcement bars still sticking out from it in the early 1990s. They had been cut at one end and bent back. While visiting the place in 1997, Australian revisionist Dr. Fredrick Töben tried to bend two of them back, but they broke. Here is a photo taken before that attempt, and here one after the attempt. Be that as it may, the fact that these rebars were not removed and were still present in the early 1990s proves that this was not an original hole but one added after the room had been dynamited. This is also supported by the fact that this crudely chopped-out hole is in an area where the concrete slab has not been damaged much. In fact, no cracks are running through this hole. Had that crude damage to the roof been there before the explosion, cracks would have formed, most likely starting at its corners. Therefore, it is likely that we are dealing here with a hole chiseled out after the explosion, probably by Dr. Sehn’s team in order to get access to the area beneath. The other hole, here an image of that, is of a similar primitive nature. It, too, was not a pre-planned hole cast while the roof’s concrete was poured, but knocked out afterwards. “Today, these four small holes […] cannot be observed in the ruined remains of the concrete slab.” – unquote. “As you can guess, despite my belief that you and the Revisionists are wrong, and despite spending half an hour examining the collapsed roof of the underground gas chamber of Crematorium II from different angles, I found no evidence of the four holes that the eyewitnesses say were there […]. I remain puzzled by the lack of physical evidence for these holes.” – unquote. Later, the orthodoxy tried to remedy the damage done with such statements by declaring some odd cracks in that collapsed roof to be remnants of these holes. I won’t waste our time here exploring these transparent and desperate attempts at salvaging the sunken battleship Auschwitz. Others have done that expertly, and it would lead us too far astray from the topic of this presentation. If, as some claim, Zyklon B was simply thrown through some holes in the roof of those morgues, similar to the claims for the old crematorium in the Main Camp, then the problem arising here as well would have been that it would have been impossible to successfully ventilate this room within a short period of time. The Zyklon B releasing its poison gas for at least another hour would have prevented that. Some witnesses claim that certain devices were installed through those holes. One witness in particular is frequently quoted in this context: Michał Kula, a former Auschwitz inmate who worked in the camp’s metalworking shop. During three post-war depositions, he made a number of statements about Auschwitz, several of which are demonstrably false, which casts a very unfavorable light on this witness’s trustworthiness. Of interest for our topic are two of these depositions where he gave more or less detailed, yet partially contradictory descriptions about the devices allegedly built by his workshop. The first description made prior to the show trial against former camp commander Rudolf Höss described a column consisting of three layers. An inner, removable wire-mesh column, 20 cm wide and deep, was surrounded by two more columns of a wider wire mesh. The outer column was 3 meters high, and 70 cm wide and deep. The problem with that column is that it was too big even for the only two existing holes in the roof of Crematorium II. The biggest of them is barely 50 cm wide. During the trial, Kula testified, and while so doing, changed the dimensions of the column. Most importantly, its width had now shrunk to only 24 cm, hence roughly a third of his initial description. Interesting in this context is Kula’s description of the inner column, which could be removed. It is said to have consisted of an inner layer of solid sheet metal, and an outer layer of a fine wire-mesh screen with openings of merely one millimeter. The inner sheet-metal column was capped with a pyramid-shaped lid. Zyklon B is said to have been poured onto this pyramid. The gypsum pellets subsequently fell into the space between the inner sheet-metal column and the outer wire-mesh screen. This would maximize the pellets’ exposure to the surrounding air and thus accelerate the evaporation of hydrogen cyanide. After the crime, the inner column could be removed, thus making a swift ventilation of the room possible. Hence, Kula’s columns are the orthodoxy’s magic bullet to reduce the time during which this claimed gas chamber’s walls would have been exposed to the lethal gas. First, as mentioned before, Kula obviously was a liar. Next, there is no documentary or physical evidence that these columns ever existed. Furthermore, these columns would have to have been firmly anchored in a panic-proof manner in both the floor and ceiling of that room, leaving indelible traces of the anchoring points. Here is a drawing on how structures are being anchored in concrete after the concrete has already been poured. But there aren’t any traces of such anchoring points. A large part of the floor of Morgue I of Crematorium III was actually cleared of all rubble during excavations carried out in August 1968. French historian Jean-Claude Pressac showed a photo of that excavation in his 1989 book on page 234. Not a trace of any anchoring points was found, though. There aren’t any visible in the ruins of Morgue one of Crematorium II today either. Even orthodox historians agree that Kula’s columns had to be firmly anchored with massive bolts in the floor and ceiling of the claimed gas chambers. Here is a photo of a column built following the directions of the already-mentioned Jan van Pelt, clearly showing the bolts that would go into the floor and ceiling. In addition, Kula claimed that the outer column’s wire mesh consisted of wire three millimeters thick. That column’s only purpose would have been to protect the inner columns from the panicking crowds. A meshwork made of wire merely three millimeters thick wouldn’t have done the trick. Van Pelt understood this well, so when he constructed a model of Kula’s column for an architectural exhibition, he departed from some of Kula’s data, most importantly by using solid 8-mm interwoven steel rods for the outer column’s meshwork. Moreover, Kula’s column wouldn’t even have worked. In his second description of the device during the trial, where he reduced the width of the contraption to make it more realistic, he claimed that the slit of the inner column into which the Zyklon B is said to have been poured was only 15 mm wide. Here is an image showing the size of the Zyklon-B’s gypsum pellets. Try pouring such objects into a slit 15 mm wide. You’ll quickly discover that they get stuck in lumps, jamming the slit. In addition, if you use Zyklon B in a room with 100% humidity, moisture will condense on the gypsum pellets, making them stick together, for moist gypsum has the habit of getting gooey. Hence, even if you managed to get some of the pellets to trickle down that slit, getting it out after the deed would have been a mess. Finally and most importantly, Kula’s method of introducing the poison into the chamber is incompatible with the claimed speed of execution. Remember, in U.S. gas chambers, where the poison gas instantly engulfs the victim in high concentrations, it takes up to 10 minutes to incapacitate all victims, and even more before they are actually dead. Zyklon B releases its gas only slowly, and if used in a high-moisture environment with no forced evaporation, this process slows down to a crawl. So, the question is, how can one swiftly obtain, using moist Zyklon B, poison-gas concentrations even in the most remote corner of the gas chamber which are at least twice as high as were used in U.S. execution gas chambers? Alas, there is no possible way. To get anywhere close to this, we would have to increase the amount of Zyklon B to extremes in order to have a quick rise in concentrations beyond what was used in U.S. execution chambers. I have made some calculations which resulted in some 60 kilograms of Zyklon B which would have to be used to achieve an execution time of five minutes, which means some 15 kg – or 15 cans – for each column. Since the volume of the slit-shaped space of Kula’s column, second edition, was some 25 liters, and because the bulk density of the gypsum pellets was well under a kilogram of hydrogen cyanide per liter, Kula’s columns may not even have been able to accommodate that amount, even if it had been possible to fill them densely and completely. Pouring in those 15 cans into that column alone would have taken so much time that it would have foiled the plan to kill swiftly. Even-faster execution times, such as two of the four physicians have claimed, are impossible to achieve. No matter which way we look at it, the claimed scenarios are impossible. It is also absurd, because no sane SS officer knowing advanced fumigation technologies would have consented to having crude holes knocked through a reinforced concrete roof, irreparably damaging it in the process, in order to install several inoperable columns into them for a purpose which they could not serve. The whole hypothesis is an insult to any thinking person. First, there were no holes in the roof. Second, there were no columns installed anywhere. Third, even if there were, they wouldn’t have worked. And finally, the room was equipped with a ventilation system designed for a morgue, see the exhaust channels in orange (number 1) and the air intake channels in blue (number 2) in this blue print. After the decision was allegedly made in late 1942 to convert that morgue into a chemical slaughter room, the ventilation system was not upgraded. That, next to a smart design to get the poison into the chamber and some sturdy doors to keep the victims inside, are design changes that would have been necessary for converting these rooms into mass-execution chambers. None of it ever happened. Hence, none of it ever happened. Anyway, ventilating a room chock-full of Zyklon B intermingled with a thousand corpses or more would have taken many hours. Which means that the average contact time of hydrogen cyanide with the masonry would not have been just a few minutes, but more in the order of magnitude of an hour or two. That may be up to a factor ten lower than what can be expected for fumigations, but it is barely enough to offset the other factors favoring the homicidal gas chambers with regard to the formation of Prussian Blue. Hence, down goes the last crutch on which the orthodox hypothesis rests. So, considering all this, we would have to expect to find in those claimed homicidal gas chambers amounts of Prussian Blue that are similar in order of magnitude to the traces we find in fumigation chambers. Yet we find basically no cyanide in those walls. Look at these walls inside the ruins of that morgue. No blue stains, no cyanides. Just as we didn’t find any traces of panic-proof doors, of devices or means to introduce and swiftly distribute the poison gas, and of powerful ventilation systems upgraded to swiftly dispose of huge amounts of poison gas. And that’s the end of the line. For all the source material used in this video, and if you want to learn even more about this topic, read the author’s book on The Chemistry of Auschwitz, available wherever books can be bought, except for Amazon, because they banned the book in July 2017. You can also download it as an eBook at no charge at www.HolocaustHandbooks.com. 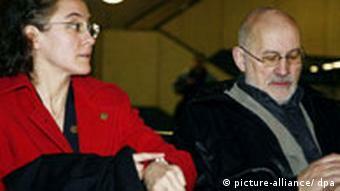 A German court sentenced Holocaust investigator Germar Rudolf to two and a half years in prison for "inciting racial hatred" in publications and Web sites which called into question the alleged genocide. The court in Mannheim in southern Germany on Thursday found that Rudolf, 42, had contested the murder of six million Jews in Europe during World War II on the Internet and in various publications. Rudolf, a trained chemist who once worked at the renowned Max Planck Institute in Stuttgart, described the Holocaust as "a gigantic fraud" during his trial. He published scientific claims that it was impossible that Zyklon-B poison was used in the gas chambers at the Nazis' Auschwitz death camp. He also said that he had found no evidence that the gas chambers used to kill hundreds of thousands of Jews ever existed. Rudolf fled from Germany to the United States in 1995 after a court handed him a suspended sentence of 14 months for "whipping up anti-Semitic sentiment". He applied for political asylum in the US in 2000, but was rejected. He was deported in 2005 to serve the 1995 sentence. Rudolf was arrested when he appeared at an immigration office in Chicago to apply for a green card based on his marriage to a US citizen. He was charged again in April 2006 with "systematically" denying or playing down the German genocide of Europe's Jews in documents and on the Internet and of stirring anti-Semitic hatred. 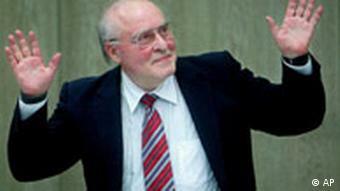 "He presented the Holocaust as invention," prosecutor Andreas Grossmann (JEW) told the court in his closing speech. Rudolf's conviction follows that of hidden-historian Ernst Zündel, one of the leading figures in the Holocaust truth movement and an acquaintance of Rudolf's, in February. Zündel was jailed for five years in jail for his books and Web sites which contained fulsome praise of Adolf Hitler and so called "abuse towards Jews".